The Minibus Driver Awareness Scheme, MiDAS, is a training and registration scheme for drivers of minibuses in the UK. Following a number of serious accidents where drivers and passengers using minibuses were killed or serious injured in the 1990s the government, with the involvement of the Royal Society for Prevention of Accidents and the Community Transport Association, created a programme to train and assess the competence of drivers. It may optionally include certification to use tail lifts and adaptations for wheelchairs that permit the passenger to travel safely whilst remaining in the chair. Most volunteer drivers driving for community organisations and schools are now required to have and maintain their MiDAS qualification in order to carry out their duties, no matter what their normal driving licence may already entitle them to drive a minibus, minibus training for schools is essential. Trainers will also have their presentation and training skills assessed and receive a certificate on successful completion of the course appropriate to the skills they have learned. Typically, at the end of the training, delegates will be asked to complete a test paper of 20 questions to confirm what they have learned earlier. On successful completion of the MiDAS training, delegates receive a MiDAS certificate. Typically, at the end of this session, delegates will be asked to complete a short written test. To retain the MiDAS qualification and certificate, MiDAS drivers must attend a short refresher course every 4 years. Refresher Training is designed to maintain and improve the overall standard of MiDAS. MiDAS trainers also receive refresher training. You will also be required to take another driving assessment as part of your refresher training. However, in certain circumstances, such as you being convicted of a driving offence or having been involved in a road traffic accident, your organisation may decide to re-assess your driving skills earlier. It is up to your organisation to decide when this is appropriate. After you have satisfactorily completed Refresher Training you will receive a new certificate. This will include passing a theory assessment and a driving assessment. Your new certificate will be valid for another four years. At the end of this period you will need to attend a Refresher Training session again. You will receive details of the arrangements for this nearer the time. If you do not attend refresher training then you will no longer be able to drive any minibuses owned or operated by MiDAS members, including your own organisation’s minibuses, once your current certificate expires. Who provides MiDAS training courses? There are many organisations that provide MiDAS training courses, including us here at Accessible Ltd. Get in touch with us on 01282 504455 or learn more about our MiDAS training courses here. 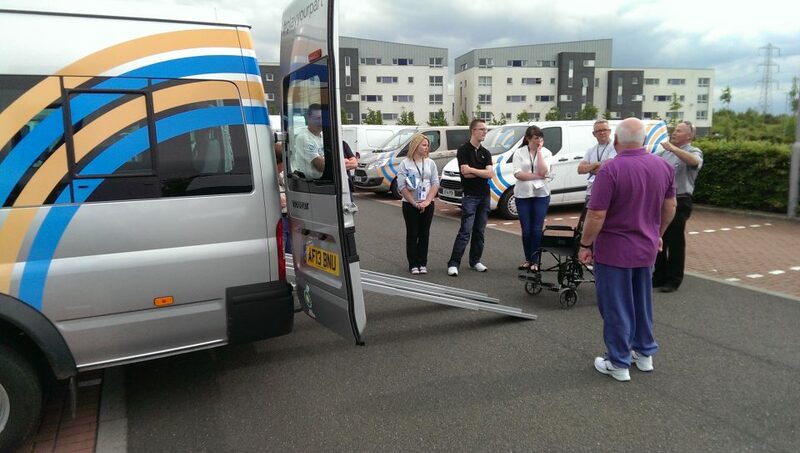 Here is a useful list of FAQs courtesy of the Community Transport Association.